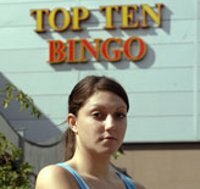 Top Ten Bingo have had a complaint made against them to the Gambling Commission after a dispute from a customer could not be resolved. The complaint centres on a bingo player at one of the Top Ten Bingo halls in Billingham, who believed that she had won a bingo game jackpot prize of £5,000 but was paid out only £1,000 after Top Ten Bingo stated that an incorrect prize fund was indicated on a visual display board. The winner of the bingo jackpot prize Lynsey Dickenson aged 19 even had her prize winning document signed for the £5,000 sum by one of the Top Ten Bingo staff at the time. Member of Top Ten Bingo staff disciplined? The Gambling Commission were contacted by Sunday Sun for a statement with regard to the bingo hall incident but stated that they were unable to ‘comment on individual cases’. There are also allegations made in the article that Top Ten have disciplined the member of staff who validated the hapless bingo winner ’s prize ticket, though Top Ten Bingo have stated “With regard to the matter about a member of staff it is a matter that has been dealt with internally as decisions on a day-to-day basis need to be made by management.” Lynsey will now have to wait for the decision on her bingo games win to be made by the Gambling Commission.